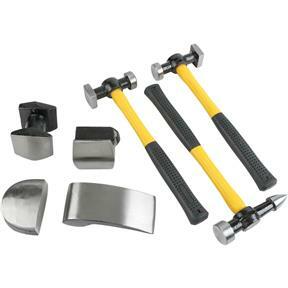 For smoothing and shaping sheet metal, this cast iron Auto Body Repair Kit is handy to have on hand. 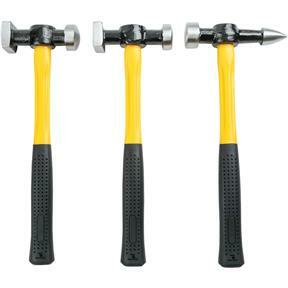 Each hammer has a fiberglass handle with non-slip rubberized grips for comfort and ease of use. 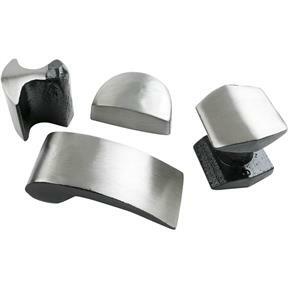 Both the hammer heads and the dollies are made of cast iron for durability and long life. 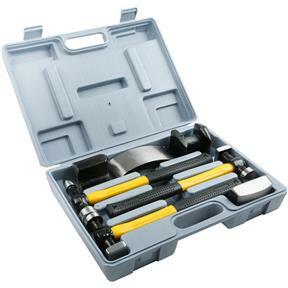 Set includes: Standard bumping hammer; pick & finish hammer; reversed curve hammer; heel dolly; universal dolly; combination dolly; and spoon dolly, all in a fitted plastic case.